The president deployed the National Guard to the Mexican border and has instituted new 'zero tolerance' measures but they haven't affected the arrest totals. Since then, migration trends have reversed. In March and again in April, border arrests exceeded 50,000, the highest monthly totals of Trump’s presidency, sending him into fits of rage, aides say. Trump unloaded on DHS Secretary Kirstjen Nielsen during a Cabinet meeting May 9, scorching her for nearly 30 minutes over the spike in illegal crossings while demanding she “close” the border. But with midterm elections approaching and the president preparing to campaign on his border crackdown, Nielsen and other Homeland Security officials do not appear to be satisfying his strict enforcement targets. May’s arrest totals are expected to be at least as high as the previous two months, said administration officials and Border Patrol agents. On Friday, Homeland Security officials would not say whether the tougher enforcement measures were meeting their goals. They said the May border arrest totals were not ready for publication and would not confirm if the figures have been sent to the White House. Arrests along the Mexico border peaked at more than 1.6 million in 2000, then fell sharply during the Obama administration. During the government’s last fiscal year that ended in September, U.S. agents made 303,916 arrests, the lowest total since 1971. The country’s borders are being violated “by criminals, by smugglers, and by thousands of people who have absolutely no respect for our laws,” she said. 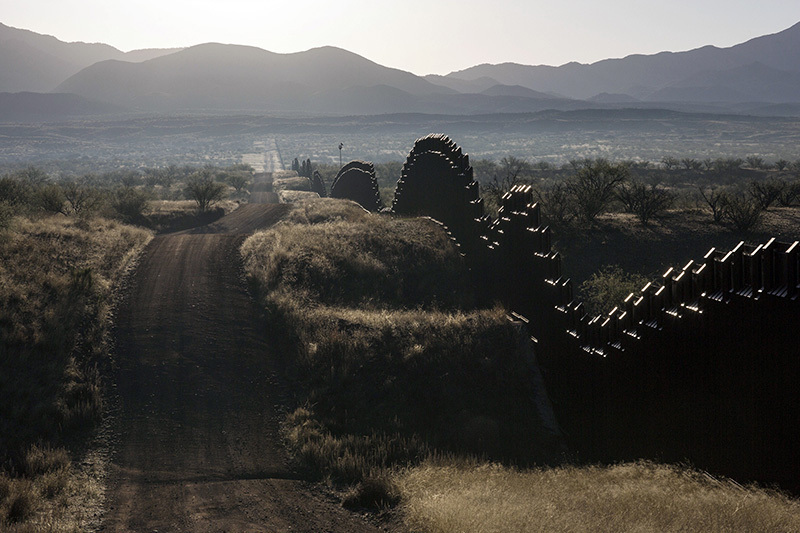 Border arrests typically rise during spring months when seasonal labor demands increase. Farms across the Midwest are becoming desperate for workers, with the U.S. unemployment rate at the lowest level since 2000. Lawmakers from both parties have told Nielsen that worker shortages are squeezing an array of industries in their states, and DHS said last week it will issue 15,000 seasonal guest worker visas.